Life is an opaque sphere where there are just as many beautiful occurrences as there are heartaches. The survivors of life’s battles have the choice to wallow in self-pity and negativity or they can choose to take the route of hope and joyful perseverance seeing the good in spite of the hardships. I would like to share a story—a personal story about the most remarkable woman—who just happens to be my mother. She has had a steadfast faith in God which has given her the strength and positive attitude to endure the loss of three children and her husband. She has had an innate ability to accept the reality of adversity and still speak often of the exceptionally wonderful life she’s had. I am constantly going to her well of strength drawing out buckets at a time to sustain me. I invite you to have a sip of her strength and insight. The story begins shortly after the birth of my older brother, Charlie. My parents learned that he had a heart condition from which there was no cure. Ironically, my father was doing his residency in pediatrics at Duke at the time. It must have been heart wrenching to be working to help save other babies, but to be unable to save his son. Charlie died when he was three. I, as a two year old, would walk around the house looking for him, calling his name with an extra cookie to share. In my confused and innocent way, I was asking even then, “Why?” My mother who was struggling to find comfort began asking herself, “Why not?” And she accepted it with grace. Shortly after Charlie’s death, my sister, Fran, was born and then my brother, Robert. Life continued on happily for several decades. I feel fortunate to be able to draw upon those memories of a wonderful childhood with my beloved family. Unfortunately, a twist was thrown in when my father was diagnosed with Alzheimer’s at the age of 56. My mother loyally dedicated the next nine years of her life to him and his needs until his death. It was difficult to watch this once intelligent man disintegrate into a shell of a person. He enjoyed going for rides in the car the most. My mother would take him for long drives in the country to keep him content. Whenever he saw a license tag that was from another state, he would say in a childlike way, “Boy, they sure are far from home.” That statement is an accurate description of how his disease left me feeling. It not only stole his mind, but it also stole my own sense of safety that only a Daddy can provide. Without him, it left me feeling “a long way from home” and its security. 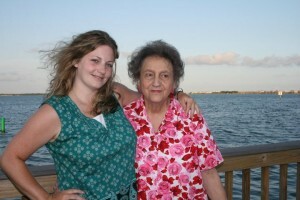 Throughout his illness, I would ask, “Why?” My mother asked, “Why not?” And she accepted it. Life took another unexpected turn shortly after my father’s death. My brother, Robert, was diagnosed with a rare auto-immune connective tissue disease called Reiter’s Syndrome. It left him completely incapacitated and in constant pain. He had the same inherent strength and ability to look for the good in spite of the bad, as my mother. He said to me many times when my eyes could barely absorb another moment of watching his pain, “You know… there’s a whole lot worse than this out there.” Incredible. I asked, “Why? He and my mother asked, “Why not? And they accepted it. And so…at long last…”I” accepted it! 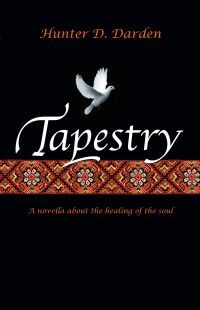 I then began writing Tapestry-a novella about the healing of the soul to find more peaceful resolution. The writing of it was a pure catharsis for me. The great return is that it is helping others with hearts that hurt along their journey toward healing. EMBRACE YOUR TAPESTRY! Personalized copies may be ordered by visiting www.booksbyhunter.net. This entry was posted in Uncategorized and tagged adversity, grief, postive nature, resolution, strength, tapestry of life. Bookmark the permalink.